With a lot available on the market, it’s hard to decide upon which the best fitness trackers are. Gone are the days that fitness trackers are considered as luxurious accessories. They are slowly becoming a necessity and are made to be more affordable. What fitness trackers do is they track (obviously) your daily activity like counting your steps and the calories burned through your movement. This is done by connecting them to your smartphone and syncing it to an app, so they actually have to go together. However, with all the fitness trackers available nowadays, it’s hard to decide on which one to buy. There are some that do more than tracking your movement, that’s why we rounded up the best fitness trackers you can find today and we will carefully review each one of them to help you choose which one’s best for you. Modern fitness trackers are mostly wrist-worn that’s why they can also function as a wristwatch. Most of them have LED displays to indicate your progress and you have to check on your smartphone to see more of your tracked activities. 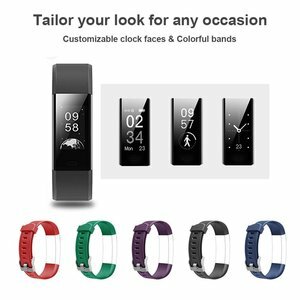 While there are still some fitness trackers that can be clipped onto your clothing, most people would prefer those that would look like a watch so they don’t forget to wear them every day. With the unpredictable weather nowadays, it’s important to consider if the fitness tracker you’re eyeing on is water-resistant. Aside from that, you want your fitness tracker to track every movement you make, including your shower time so it has to be water resistant. If you want to track your fitness progress during swimming, make sure you fitness tracker can handle more than just a splash of water. 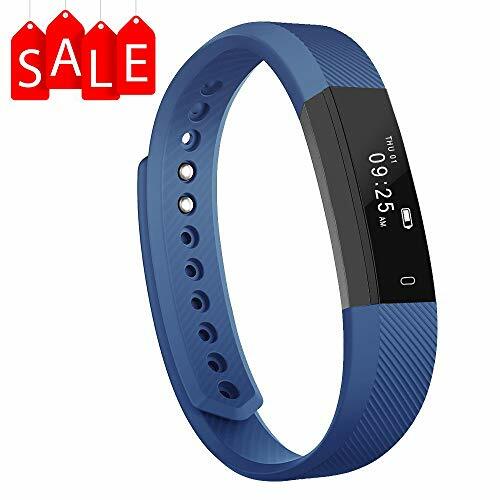 If you wish to track more than just your fitness programs, there are fitness trackers that can do it for you at a higher price range. The more expensive fitness trackers have are touch sensitive, while some have heart-rate sensors. Some fitness trackers are also equipped with GPS but this might work best for those who are serious athletes, cyclists, runners and hikers. It could track how far they’ve gone from they’re starting point. While if you’re willing to really spend on a fitness tracker, there are some which also function as a music player while tracking our progress. The battery life of a fitness tracker is a very important thing to consider because it won’t be able to serve it’s purpose if you can’t use it constantly. Most affordable fitness trackers offer a week’s worth of battery life while those who fall on the more expensive range can last up to 30 days. The Arbily fitness tracker combines both style and function. It comes in an environmental bright 0.8 LED tap display that’s easy to wear and comfortable. This fitness tracker functions as a pedometer tracks distance, counts calories burned, monitors sleep, and it can serve as an alarm clock. Aside from this, it offers a lot more functionalities that make it reasonable for its price. Yes, this small fitness tracker can do all those things but only once it’s connected to your smartphone. 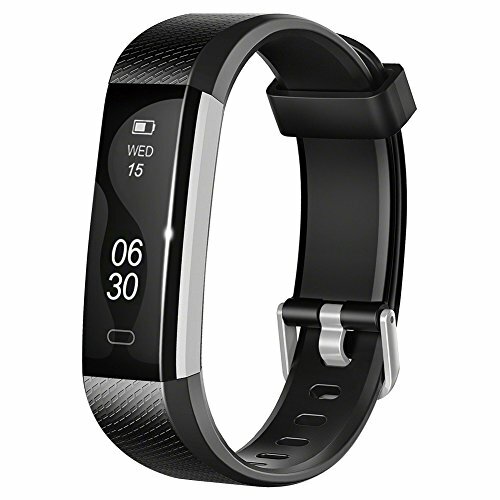 This fitness tracker is compatible with Android smartphones that are above 4.4 and iPhone that are above iOS 7.1. 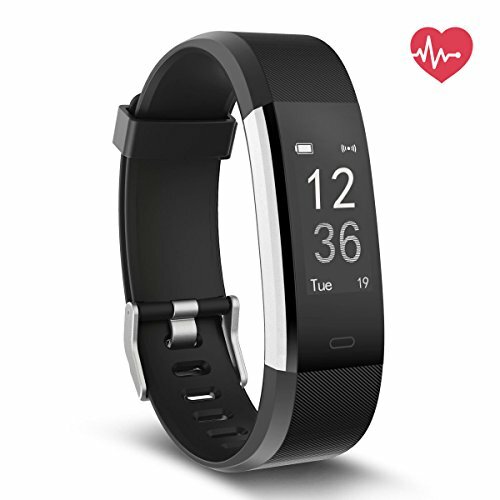 Just download the app called “Veryfit for Heart Rate” and then connect it with your fitness tracker through Bluetooth. Aside from that, the battery of this fitness tracker can last up to 7 days and charge it only takes an hour. If you’re not satisfied with the performance device, you are guaranteed with a 30-day no-questions-asked return policy and a lifetime manufacturer’s warranty. Plus, you can enjoy a free replacement of the strap. While if you prefer a fitness tracker that can monitor your heart rate and equipped with GPS, the Delvfire Activity Tracker Watch might be the right one for you. With this, you can set daily exercise goals and it will flash and vibrate to celebrate with you when you reach them. Of course, you also need to connect it first with your smartphone for it to accurately display all the information needed. It’s compatible with Android versions 4.5 and above and also with Apple devices that are running iOS 7.1 and above. This fitness tracker is GPS enabled which means you can map routes and see other GPS related statistics. To see the display, you don’t need to touch the LED display because once you rotate your wrist it already lights up, this is called the Wrist Sense. Additionally, the Delvfire Activity Tracker Watch can track your sleep, display incoming calls and texts, and social media notifications. 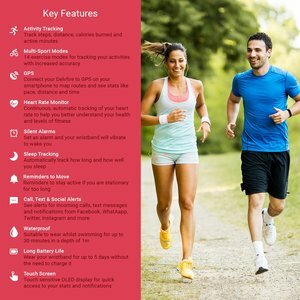 Aside from also serving as a pedometer, it has 14 exercise modes to choose from so you can select your activity for the day like walking, running, dancing, basketball, and the like. This is another fitness tracker that features a heart monitor and a GPS, and it’s more affordable while it’s on sale. It claims to accurately record daily activities, even sleeping. It has 8 default exercise modes to choose from and you can even add 6 other modes of your own choice. Once you connect it to your smartphone, it shows all the data you need with just a tap on the LED display. You can also choose from the different clock faces available on the fitness tracker. The Letsfit Activity Tracker Watch also syncs your notifications to keep your phone away while you focus on your goals. Charging this fitness tracker can take about an hour and it gives you 7 days working time. This sleek fitness tracker can also serve as your everyday watch. Its integrated with an anti-lost strap which is an improvement from the older version of their fitness tracker. It also has the same functionalities just like the other fitness trackers. 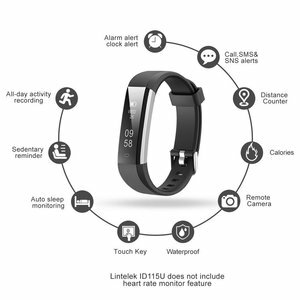 The Lintelek Slim Fitness Tracker Watch tracks steps and it counts calories, distance, and time range. It can also monitor sleep quality, has a sedentary alert, displays smartphone notifications and can be used as a remote for camera shooting. Of course, all these functions will work if you connect it to your smartphone. It’s compatible with Android devices with versions 4.4 above and Apple devices with iOS 7.1 and above. However, it doesn’t feature a heart-rate monitor, but that’s fine if you’re not particular about that matter. Well, it’s not actually the touchscreen we’re expecting. It’s more of a “tap-screen”. It displays the data with a tap on the screen or with just a raise of the wrist. This fitness tracker can monitor how long and how well you sleep and you can set a silent vibrating alarm to wake you up. It tracks your steps, distance and calories in an active time so it also stops when you stop. It’s very slim and lightweight, it won’t get in the way of your fitness activities. 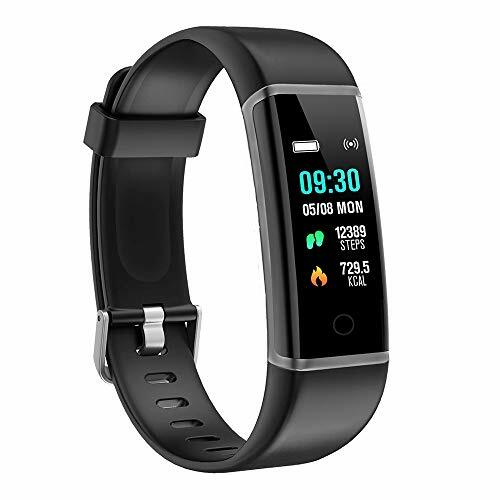 The moreFit Slim Fitness Tracker with Touch Screen also shows your smartphone notifications that display the caller ID and message content, and it vibrates when you receive one. Now, it’s time to choose the best one among them. 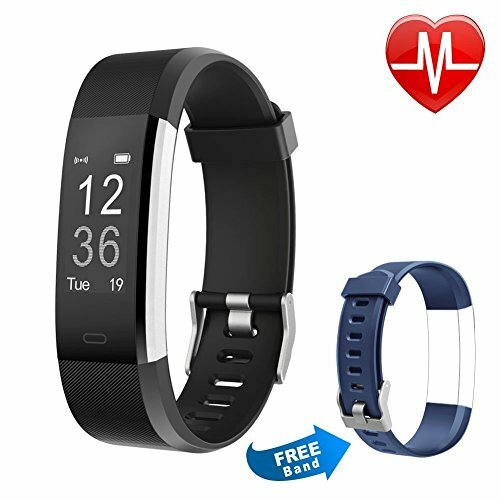 The Letsfit Activity Tracker Watch wins as the best fitness tracker among them because it features a heart rate monitor and a GPS and you can add your own activities for it to track. I also like the fact that the clock faces can be customised, it adds to the style to the fitness tracker. But if you don’t need all those things, you can opt for the most affordable one which is the Arbily Fitness Tracker. 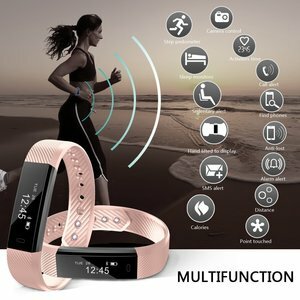 Even without the heart rate monitor and the GPS, it still serves its purpose of tracking your daily activities and it also has a lot of functions that can be found in more expensive fitness trackers. Meanwhile, the Delvfire Activity Tracker Watch, Lintelek Slim Fitness Tracker Watch, and the moreFit Slim Fitness Tracker with Touch Screen are also very functional and stylish which you should consider if you’re eyeing for a great fitness tracker.